At Superdecks we pride ourselves on the quality of our workmanship. We have over a decade of experience installing low maintenance decks in the Toronto area. Composite decking has taken over the market which now features products that will last for over 30 years. However, the structure (joists) of your deck in most cases will require a deck joist membrane to have the same livespan. 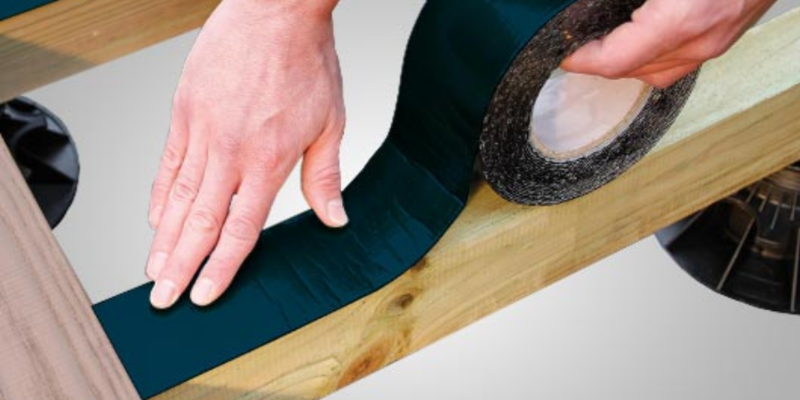 A deck joist membrane is a waterproof self-adhesive membrane that helps to prevent rotting of structural timber under your deck. As water flows off the top of your deck, it will hit the structure below. On an unprotected structure , water will start to accumulate at the screws and will slowly start to rot the structure. By installing a membrane that self-seals when screwed into, the water will simply slide off the structure to the ground. 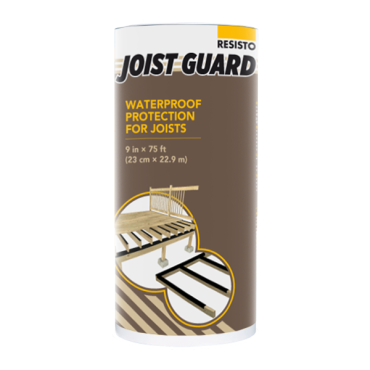 This membrane was originally used by roofers, so rest assured your structure will be safe from water infiltration.